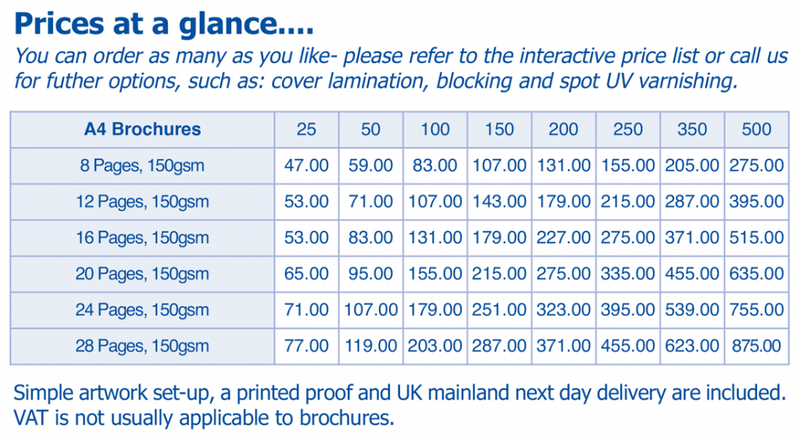 Our simplified pricing for all printed folders and budget presentation folder holders is designed to make fitting your budget, large or small, as easy as possible. Our range of options include budget folders for a cheap but durable holder for your documents, to our standard presentation document wallets designed to present your work or CV in style. Click on the pricing chart to enlarge it and once you are ready to order click the relevant style and size to be taken to the order page. If you have any questions or queries or would prefer to order over the phone please call us on 01536 529911.